I am guest hostess on Spa this week. 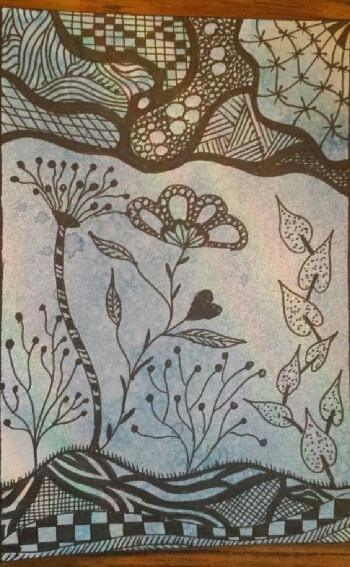 The theme I have chosen is Zentangles/doodles. Very fun! Love the heart flower! Gorgeous postcard Anne - thanks for the inspiration and fun challenge!